We have a few stragglers in the T-shirt department. 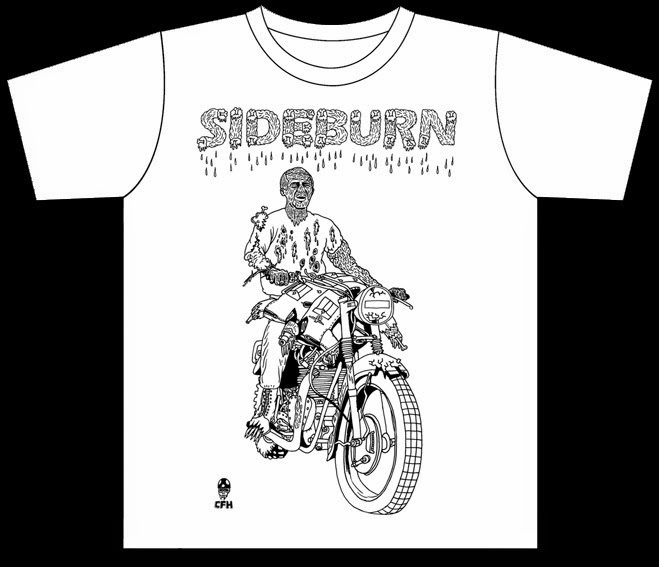 To clear some shelf space we're going to include a Dirt Quake III tote bag (worth £5) and Dirt Quake rub-on sticker (£2.50) with every order for these last few shirts. There is a handful of each design. If the sizes aren't listed, they are sold out. Made for Dirt Quake USA, we had a few shipped back to the UK and sold most of them at Dirt Quake III. Lovely quality with extra touches like sewn-in label and hem label. Medium, Large and XXL only. Made for us by Iron & Resin in Ventura, California. 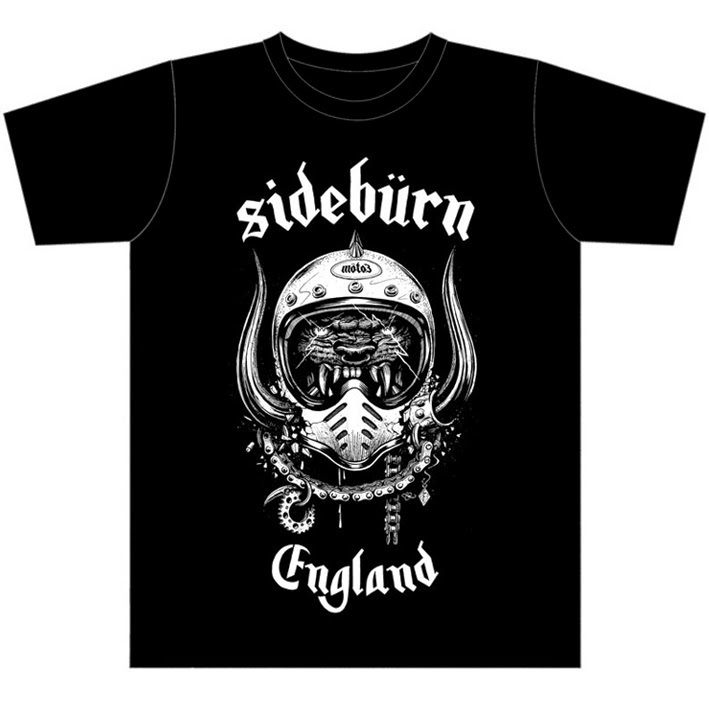 Made to commemorate the Slacker project collaboration between Sideburn and Brit artist Stevie Gee that produced a custom Kawasaki Z200, Sideburn 15 cover and feature and London art show. Front and back print (back print shown above). 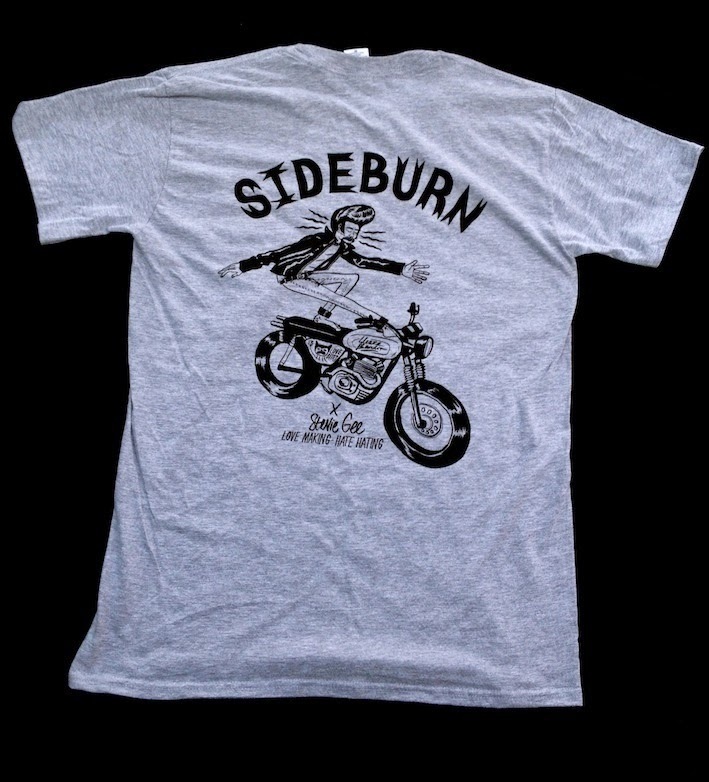 Possibly our most popular shirt design ever. Artwork by Adi Gilbert. This design might make a comeback in all sizes in 2015. Drawn by the twisted genius Maxwell Paternoster. Small, XL and XXL only. White T-shirt with black print. We have found a few Zombie art prints on recycled brown heavyweight paper for just £15 (with a bunch of free Sideburn event posters and flyers thrown in). Colin Furze Performing at Dirt Quake III!